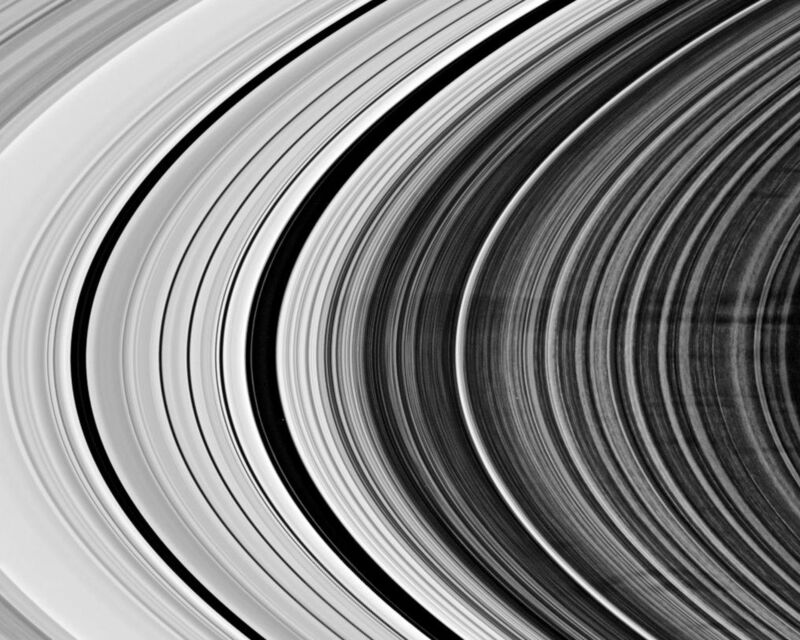 This Cassini spacecraft view shows a group of more than a dozen spokes in Saturn's outer B ring. 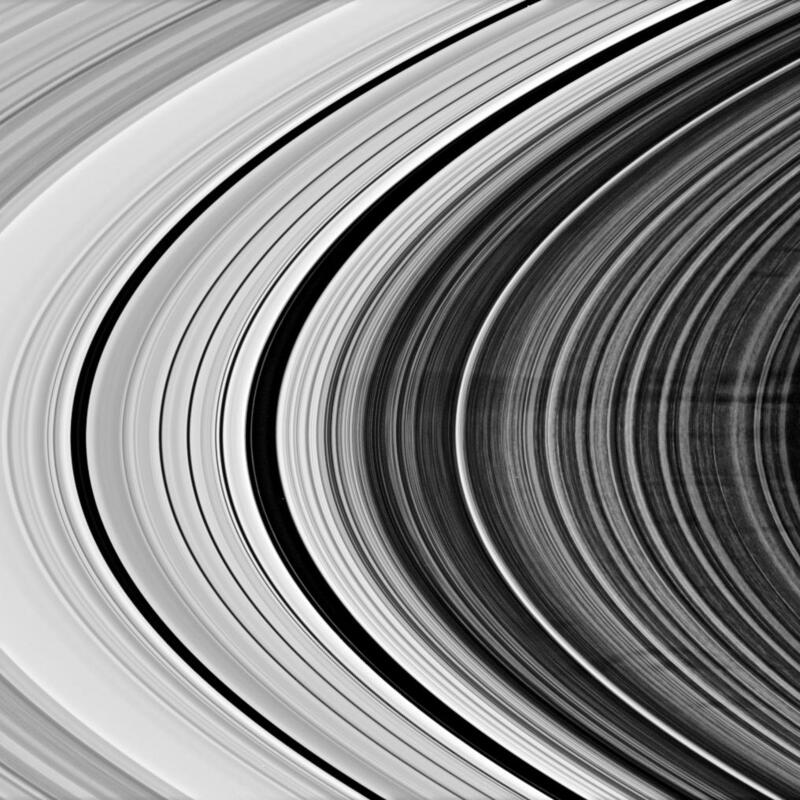 The B ring displays the azimuthal asymmetry, or variation with longitude around the planet, that is characteristic of the spoke-forming region. The large spoke feature above center -- most likely a grouping of multiple spokes -- is about 5,000 kilometers (3,100 miles) long and 2,000 kilometers (1,200 miles) wide. 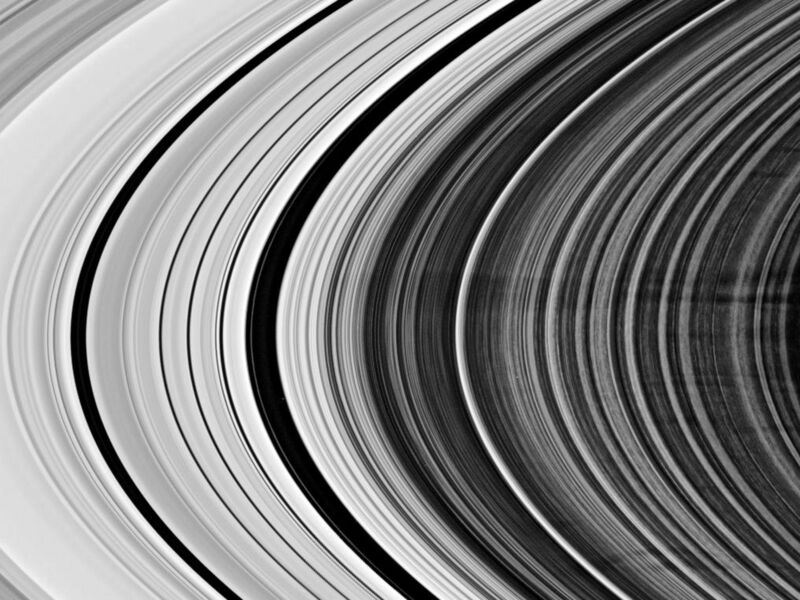 Left of center, two dark gaps mark the Cassini Division (4,800 kilometers, or 2,980 miles wide). 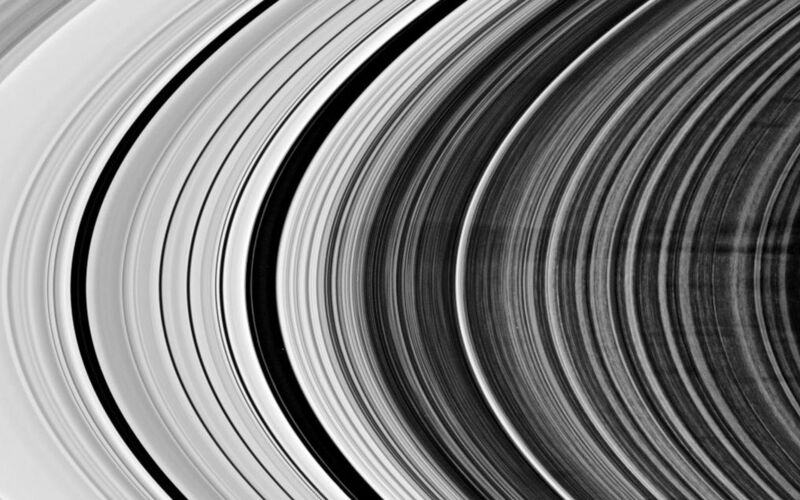 This view looks toward the unilluminated side of the rings from about 9 degrees above the ringplane. The image was taken in visible light with the Cassini spacecraft narrow-angle camera on April 28, 2007 at a distance of approximately 1.6 million kilometers (1 million miles) from Saturn. Image scale is 9 kilometers (6 miles) per pixel.